You love coffee, but caffeine is either medically disapproved, or it just gives you the jitters. Don’t worry—we’ve all been there. Coffee is America’s favorite beverage, and comes with endless possibilities for how you like it served. Just because you can’t (or don’t want) caffeine doesn’t mean you have to suffer. We’ve outlined the top ten best decaf coffees, as well as your burning questions surrounding the decaffeination process. Utilizing the Swiss Water Process (more in our guide), Kicking Horse Decaf Coffee bean selection comes with the most flavor you’ll ever find in decaf coffee. Grown in Central and South America through the Rainforest Alliance, Kicking Horse brings their beans all the way to Canada for roasting under strict guidelines, and then, to your home. 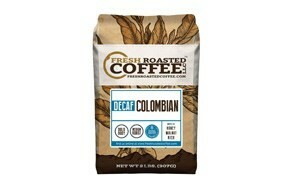 Organic, kosher and Fairtrade certified, this is a decaf coffee you can really feel good about while drinking. This illustriously-flavored brew comes in dark roast for maximum flavor—if you’re after the ultimate decaf coffee on the market, look no further. Amazon’s top choice comes in a spacious 2lb (32oz) bag, giving you enough decaf coffee to last for the entire month. Café Don Pablo uses the Swiss Water Process to eliminate the need for chemicals in your coffee, while retaining all the same great flavors as caffeinated beans. With natural hints of caramel, cocoa and a hint of citrus, you get some prime flavor from the largest and most desirable arabica beans, grown high up in mountainous terrain. Nothing is better than micro batched coffee, which is exactly what Café Don Pablo brings to your cup, all with a convenient way to purchase without visiting local microbreweries. We’ve all had Peet’s once or twice—they’re an excellent value, while maintaining some serious kicks of coffee flavor. When they sided with decaf, they knew they had to craft something truly enjoyable and unique. After going through Peet’s Coffee Mocca 12oz bag in a week, I can sincerely say that they’ve done just that. Dark roast blended with the key flavors of mocha comes straight from the heart of Brazil through Fairtrade dealers. After being stuck alongside smaller brands, Peet’s jumped forward to bring you one-of-a-kind flavors and blends that you can’t get anywhere else. If you like to carry your own coffee when you leave the house check out our guide to the best coffee thermoses. 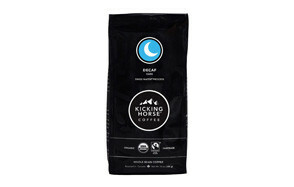 This coffee comes pre-ground in a 48oz container, allowing you to bulk up for the long haul. As we descend on the list, you’ll start getting into a blend of pre-ground coffees that don’t use the Swiss Water method. Kirkland gives you excellent value while packing a serious burst of flavor in every cup, all wrapped-up in aluminum seal technology to upkeep the freshness of your grinds without having to freeze them. 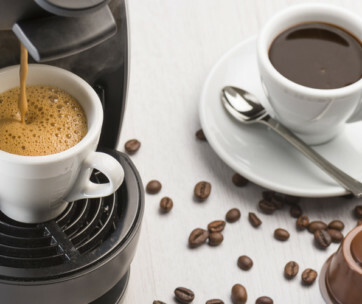 Kirkland supplies some of the largest single-serve coffee retailers in the continental United States, trusted by millions of consumers everywhere. For bulk supply and savings galore, Kirkland’s dark roast decaf blend has you covered. Be sure to also check out our list of the best instant coffee for more great items like this. Utilizing the Swiss Water Process, one perfectly-made pound of coffee is sitting right in front of you, staring you down. Stone Street wanted to bring consumers a better option when it comes to decaf coffee, and with Mayan Decaf Blend they’ve done just that. Flavor runs throughout every cup, all while avoiding the infamous “bitter finish” that you can with some decaf blends. With a one-way degassing valve to maintain freshness, this aluminum-lined bag is resealable, keeping your coffee as fresh as the first day it was packaged. There’s a stigma on decaf Colombian coffee—the “bitter finish.” FRC wanted to alleviate that horrible curse, and came up with Colombian Decaf, one of the best blends of decaffeinated Colombian beans on the face of the planet. Using the Swiss Water method, this brand avoids chemical interaction of any sort, allowing the beans to retain maximum flavor in every condition. You get a whopping two pounds of beans to call your own, medium roasted, and crafted by the professionals. FRC only uses environmentally-friendly roasters and equipment, letting you enjoy every sip knowing that you’re being served the best of the best. Move over, Starbucks—there’s a new player in town. Seattle’s Best has been one of the finest hand-crafted brews we’ve ever tried. Medium-roasted and sporting an even-toned, subtle flavor, Seattle’s Best aims to take the negative image off of decaf coffee consumption. You get 12oz in a bag (for an unbelievable price, mind you), as well as included brewing instructions for the best possible flavor. We can’t say enough good things about this brew, from the gas-valve packaging to the smooth taste, all the way down to the finish. The legendary Tim Horton’s wants you to experience their time-tested flavor, now in decaf. Tim Horton’s has been one of the premier single-serve coffee companies in America for decades, ensuring that their make-at-home ground coffee exceeds your expectations. Sporting their signature flavor, Medium Roast Decaf is a truly magnificent blend that leaves you wanting more, (and giving you more than enough budget room to grab another bag). 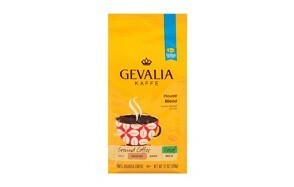 Gevalia is perhaps the newest blend to hit our list, and they really had to earn it. Utilizing a unique coffee blend from the mountains of East Africa, South America, and Central America, they bring a one-of-a-kind flavor to the table. Kosher and designed for drip machines, Gevalia’s decaf blend is intended to be enjoyed throughout the day, while keeping those jitters away. Side straps allow for easy opening and closing, while the aluminum-lined bag keeps things fresh. Whether your doctor told you to make the switch, or you just don’t like the dependency on caffeine, decaf coffee is the answer. We’re about to get into the hard truths surrounding decaf, even a few things you may not like. From how decaf coffee is made to caffeine effects on pregnancy, it’s all here. A: It sounds simple, right? Decaf grinds offer convenience, but getting the right cup of decaf coffee is going to be a bit more involved than that. We’ll get into the production of decaf coffee in a minute, but you probably won’t like it—there’s a fair deal of industrialization that goes into your decaf, so we’re going to do it right in three steps. There’s chemical residue unless you got Swiss water-decaffeinated beans. You can remove most of this by soaking your beans in a simple container of cold water. You may find guides that recommend hot water, but that messes up the flavor during our next step. Now, hold on—even if your beans say they’ve been roasted, they were done so with that chemical compound on them. You’ve removed a few their attempts at roasting. Through coffee roaster machines or taking a more hands-on, frying pan method, roast ‘em up nice. You might, but if you’re switching to decaf or you were given a previously-used grinder from your brother-in-law, that grinder is as good as re-caffeinating your coffee. Most people don’t properly clean their grinders—coffee is naturally oily, and a real pain to clean. That residue is going to have trace caffeine in it, which is going to boost the percentage of caffeine already present in your beans (more on that later) and undo a fair share of your efforts. Clean the best coffee grinder thoroughly, sanitize it, and start anew. Q: How is Decaf Coffee Produced? A: No matter what, decaffeinated coffee comes with human intervention. Coffee beans don’t have a specific decaffeinated hybrid growing out of the ground—we have to intervene to complete the process. There are two ways coffee is decaffeinated, with two subsections for each method. Whether it’s direct or indirect, introducing a solvent is treating the beans with chemicals. While these may be organic means, such as saltwater brines, chemicals are introduced towards the end of the process to complete decaffeination. If you’ve read about decaf methods containing carcinogens, rest assured, that method hasn’t been used in a very long time after it was proven. 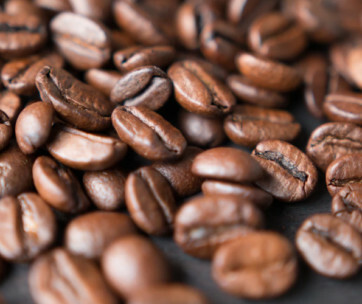 Through either carbon dioxide, or the accredited Swiss Water Process, caffeine is essentially extracted from the beans. 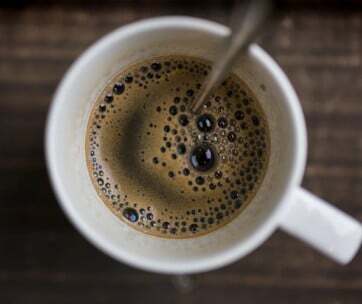 Swiss methods include using activated charcoal to remove the “toxin” of caffeine from the bean, which has been being used for close to eighty years. Carbon dioxide, however, is the most recently-used method, historically speaking. This allows for larger batches of decaf coffee to be made at one time, which is favored by Western civilization. Q: Is There Still Caffeine in Decaf? A: Short answers, yes—there’s still caffeine traces in your decaffeinated coffee. There’s no such thing as 100% decaf, and there most likely never will be. Caffeine grows with coffee beans; it’s part of its nature. However, decaf coffee has such a miniscule caffeine percentage, that a cup of coffee (or 3-4 throughout the day, if that’s how you roll), isn’t going to make your heart jump out of your chest. An average 10oz cup of coffee comes with 140mg of caffeine, while most decaf coffee comes with between 2 to 5mg. You’re roughly within the FDA standard parameter of a maximum of 3% caffeine content per cup of decaf coffee. It would take ten cups all within a one hour period to even feel half the jitter of a normal cup of joe. So yes, there’s still caffeine—it’s unavoidable—but so long as you don’t have a severe medical condition refraining you from caffeine consumption at all costs, you’re good to go. Q: Can Pregnant Women Still Drink Caffeine? A: There’s an absolute ton of fallacies surrounding pregnancy and caffeine consumption. A standard pregnancy means that you have between 25-50% more blood volume than you had pre-pregnancy, and we all know caffeine constricts blood vessels and increases blood pressure. On average, a pregnant woman in normal or good health is able to have a cup of coffee a day, without it negatively impacting their unborn child. If you end up getting single-serve coffee from a major chain, and they don’t give you decaf like you asked for, you’re still safe. However, you should stop drinking all potentially caffeinated beverages for the rest of the day. Brewing decaf at home is the safe way to play it—you can reasonably have a few cups a day without issue. A: Whether you’re pregnant or you get the jitters, half-caf is basically pointless. It’s the equivalent of saying, ‘I’m going to work out really hard all week, but on the weekend, my diet has no rules!” It’s bogus, and it’s a way of coping with the fact that you’re still ingesting caffeine. Since decaf coffee still has caffeine, half-caf can’t ever be achieved. Your half-caf cup of coffee will still have 50-60% caffeine (because nobody really measures by the ounce, there’s no way to achieve a perfect half cup). It’s better to either go big, or go home when it comes to switching to decaf.